We’ll finish up our werewolf triple-play with this one. Later this month Alterna Comics will release Empire of the Wolf issues #1 through #4 as a singe graphic novel in trade paperback. 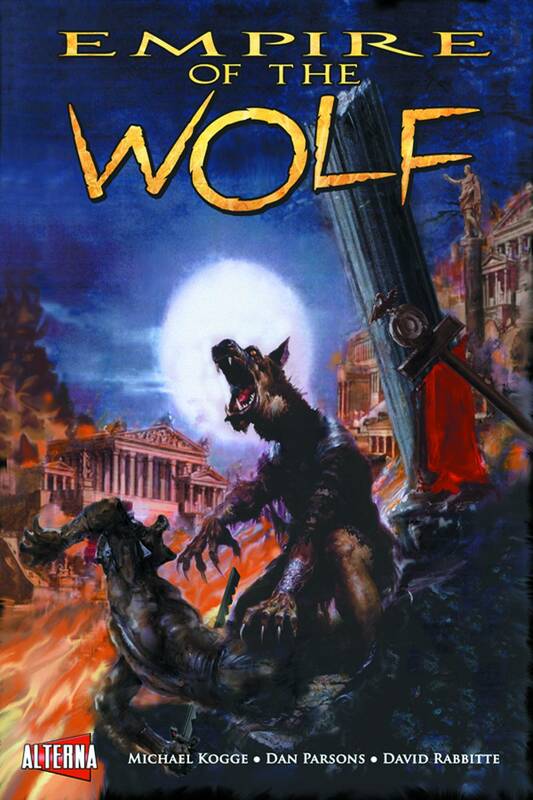 From Previews: “During the Roman conquest of Britain, a werewolf’s bite re-ignites the legendary feud between Romulus and Remus, pitting two centurions against each other in an epic war of werewolves that will decide the fate of Roman Empire itself. 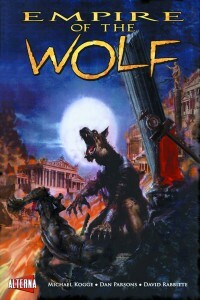 Empire of the Wolf is the saga that reveals the myth behind the history of ancient Rome. ” It’s written by Michael Kogge and illustrated by Dan Parsons.